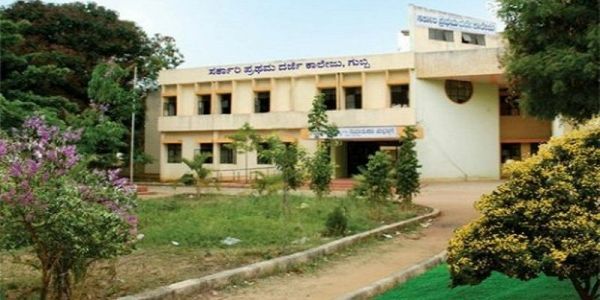 The Govt First Grade College, Gubbi was established in the year 1983, in the beginning it was affiliated to Bangalore University with a modest strength of 79 students and a simple structure at Govt girl’s high school Gubbi. Now this college is affiliated to Tumkur University.The college made rapid strides in terms of both in strength and structure. DCE/UGC for assistance, since the college has all the potential to become a centre for excellence. So our move is towards getting autonomous status. The college has excellent teaching faculty consisting of 28 dedicated teachers among them 6 teachers are Ph.D. holders and most of them are actively pursuing research. All Science departments have well equipped labs and Computrer Lab and centralized Library facility which are developed over years. The college has made a name for its commitment and hence the strength of the college is continuously increasing, which has reached 1774 during the academic year 2014-15. The result of both under graduate and post graduate courses is also good. The college has secured two ranks during the year 2013-14.